Vietnam is said to be a potential market place for retail banking development, with the increasing presence of foreign brands pursuing the goal of expanding their footprint in this somehow 90 million population market. However, the local banks are also striving to emerge substantially in their own ways to maintain the majority market share with their strengths in loyal customer relationship, vast distribution network and aggressive advertising budget. Not only holding the “bigger bite” of the banking cake at home, Vietnamese banks tend to export their initial trade names abroad, which has signaled a significant recognition to the local bankers. Apart from these exports, the local banks have tremendous attention in improving their banking technology and service quality to meet customers’ diversified banking needs nowadays. More and more local banks gain international recognition with access to banking awards of fame and honour granted by many industry publications and rating bodies. This shows how hard local banks aspire to excel their capacity towards international operation standards to compete in global integration environment. 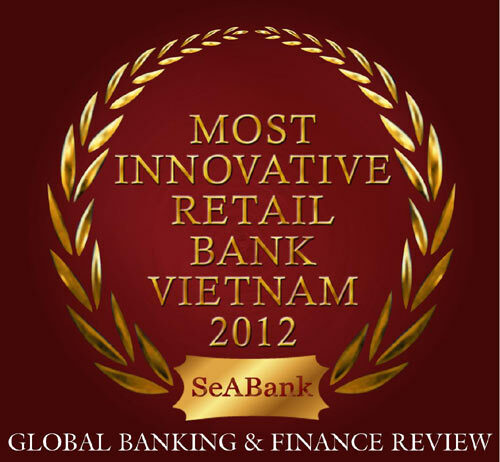 Many other local banks are awarded in different categories by The Asian Banker, Euromoney, The Financial Times, Asia Money, Global Finance, etc., which signals that local banks are on their right track of retail banking strategy and advance to higher level of competitiveness capacity over their foreign counterparts. Since the Eurozone and some other regions are struggling in their financial crisis, Asia, especially Southeast Asia, is far from being affected and more than that, it is maintaining its good shape with more and more local banks being awarded of recognition as a matter of fact. Vietnam can be a good example of the regional banking outlook when local banks are still holding more than 98% of the banking-prone population, leaving their foreign competitors behind in the race.